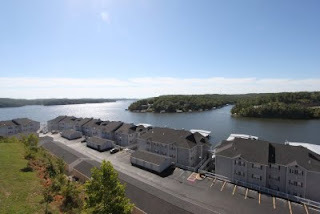 The Fran Campbell Team is your go-to source for real estate at the Lake of the Ozarks. Whether buying or selling real estate, you can count on us to be the experts to guide you through. Many times when shopping for a condo, one of your first considerations is the complex community and amenities. We are pleased to keep you informed with our condominium complex spotlight. This week we focus on Summer Place on the Lake. Planning a visit to Lake of the Ozarks August 22-28, 2011? Here's a handy schedule of events, compliments of the Fran Campbell real estate team. It's Lake of the Ozarks Shootout Week!! These events are centered around the annual boat races. This is a benefit for fire departments and local charities. The event will take place at Captain Ron's in Sunrise Beach. It is free for spectators. Monday, August 22 Lake of the Ozarks Shootout 3rd annual golf tournament at Indian Rock Golf Club in Laurie. Registration and lunch will be at noon and 1pm is the shotgun start. All proceeds benefit Lake Area firefighters and many other local charitable organizations. Cost is $60/person or $240/team of 4. Includes box lunch, golf at Indian Rock Golf Club, golf cart and lots of prizes. Tuesday, August 23 10am - 4pm; LO Profile's Celebrity Volleyball Tournament at Captain Ron's. Planning a visit to Lake of the Ozarks August 15-21, 2011? Here's a handy schedule of events, compliments of the Fran Campbell real estate team. At least a couple of times a week I have someone who is interested in foreclosure and/or short sale properties at Lake of the Ozarks. All realtors on the Fran Campbell Team are Certified Distressed Property Experts (CDPEs). A CDPE has an understanding of the complex issues in this real estate market and a thorough knowledge of foreclosure avoidance options available to homeowners. We can provide solutions, specifically short sales, for homeowners facing hardship. We also have the expertise to guide buyers through the purchasing process. Buyers who are eager to jump into the Lake of the Ozarks real estate market may benefit from a foreclosure or short sale purchase. If you are a homeowner facing financial hardship or a buyer looking for a distressed property, give our team a call. DENVER, CO – Results from the J.D. Power and Associates 2011 Home Buyer/Seller StudySM, recognize RE/MAX for providing the highest overall consumer satisfaction for both home buyers and home sellers. In last year’s study, two different companies ranked the highest in each category, but this year home buyers and sellers both rated RE/MAX the highest.